Our Big M Beefmasters ranch is located West of Coalinga, California. We have a small Beefmaster cow calf operation. We like the Beefmaster breed because of the six essentials: disposition, fertility, weight, conformation, milk production and hardiness . These traits are very important to us in our conditions. 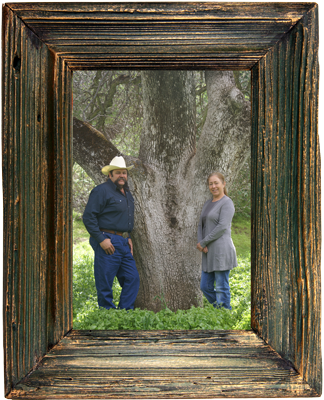 Matt and Rosalinda Toste own and operate the ranch. We also custom feed the Beefmaster cattle to sell. We work hard to provide a high quality custom fed beef. All our Beefmaster cattle are all naturally raised on our ranch. We do vaccinate and deworm our cattle. There are no growth hormones or antibiotics given to our cattle for growth reasons. We sell our beef in whole, 3/4, 1/2, 1/4, and 1/8. The customer that buys a 1/2 or greater amount can have the meat custom cut and wrapped. For all our processing we use a local family owned butcher shop and food locker. Give us a try. Like us on Facebook.